The first of 3 luchtime lectures celebrating the life of Joseph Lister on the centenary of his death. 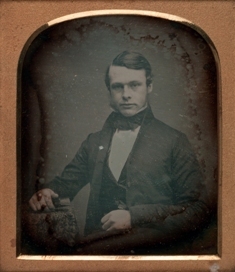 Considered by many as one of the greatest surgeons produced in the British Isles, Joseph Lister’s development of antiseptic surgery in the 1860’s - while still a young professor of Surgery in Glasgow - was based on careful experimental studies. He revolutionised surgical practice, heralding the dawn of modern surgery. Professor Harold Ellis examines the early influences on the man that created the surgeon. Free entry plus guest to RCS fellows and members, RCS affiliates, medical students and Hunterian Society members (please call to reserve places).